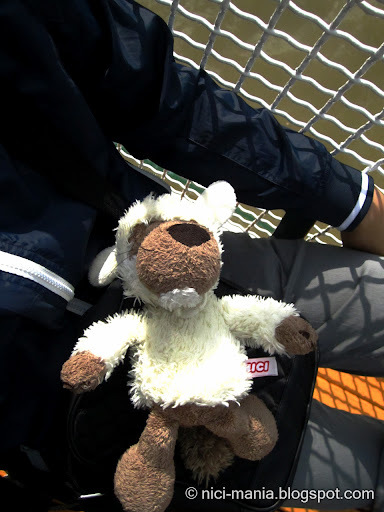 While waiting to board the plane at Changi Airport Terminal-1, Jolly wolf pops out from his owner's bag: Surprise!!! Oh! Naughty Jolly Wolf has followed his owner to the airport. "Bring me, pleaseeee....", Jolly Wolf begged. "Shhhhh.... back to the bag ok? 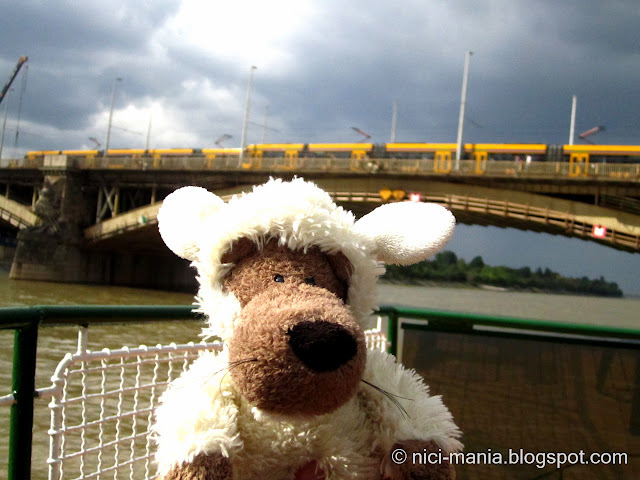 No animals are allowed to board with the passengers"
Well, Jolly wolf is exhilarated as he knows that the final part of the our Europe adventure will end at Germany, Jolly Wolf's hometown - the motherland of NICI. Jolly Wolf has board the plane safely! Testing the earphones. "Let me take the remote and check out if there are movies : Red Riding Hood or Wolverine on the plane... "
Jolly Wolf is flying with Royal Dutch Airlines, so they are serving Heineken. 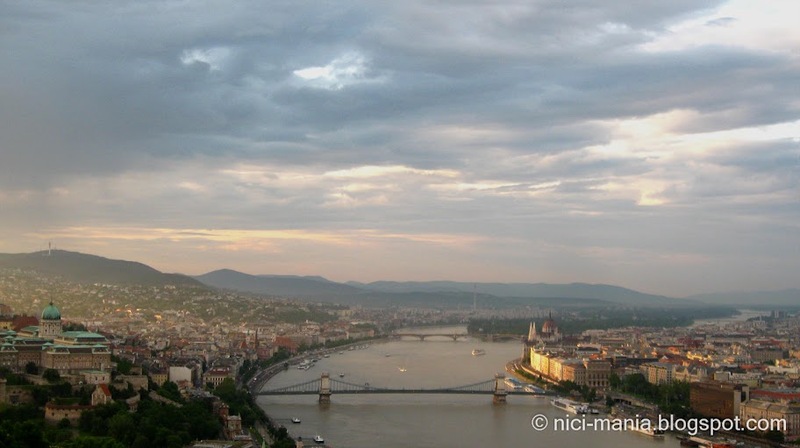 Budapest is a city made up of Buda on the right and Pest on the left connected by the Chain Bridge - a cast iron suspension bridge hovering across Danube River. 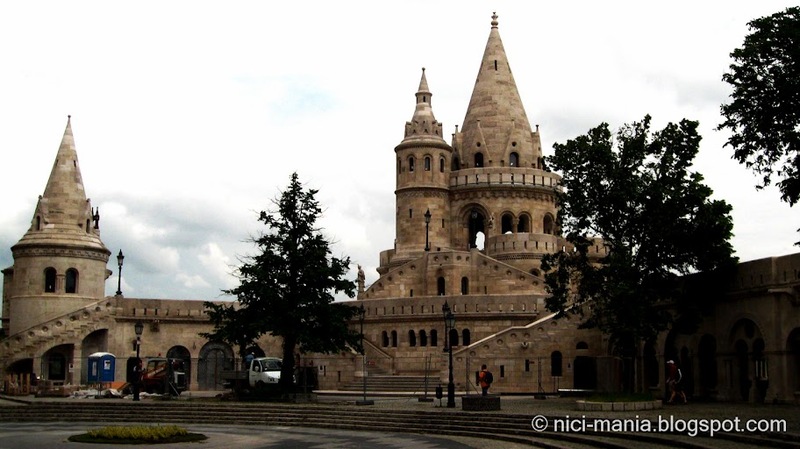 View of Budapest Fisherman Bastion on the other side. 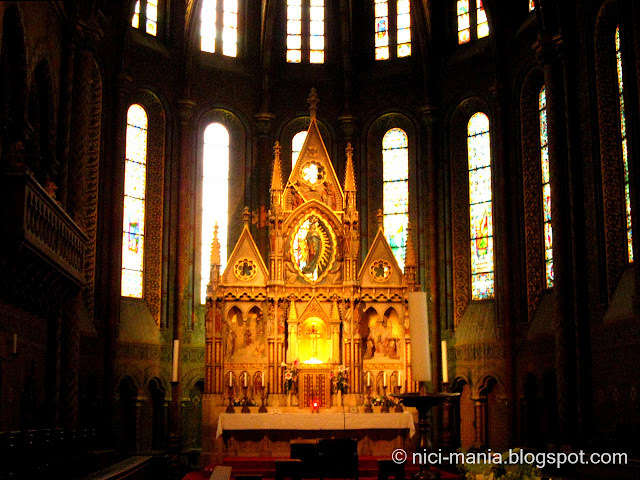 Budapest St Matthias Church right beside the Fisherman Bastion. 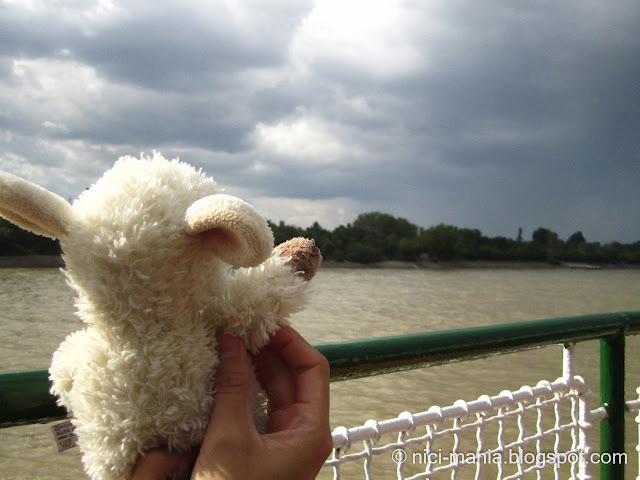 Look, the sky is now covered with clouds but its not raining, a great weather for Danube River cruise. 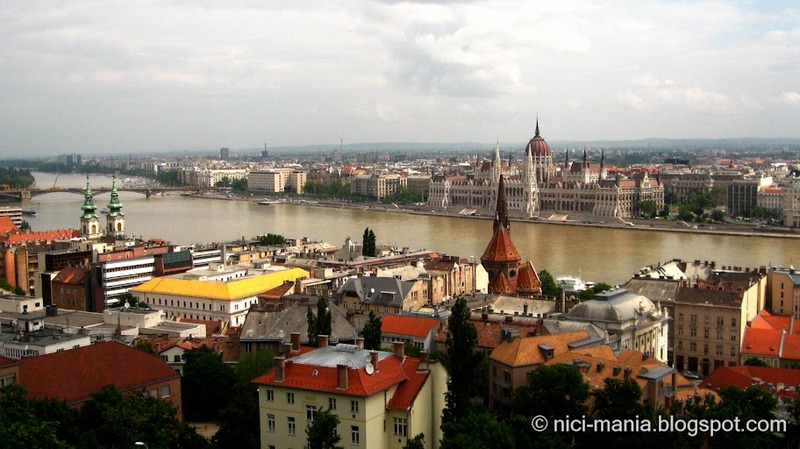 It has been raining irregularly everyday at Budapest. We are lucky its not raining now! 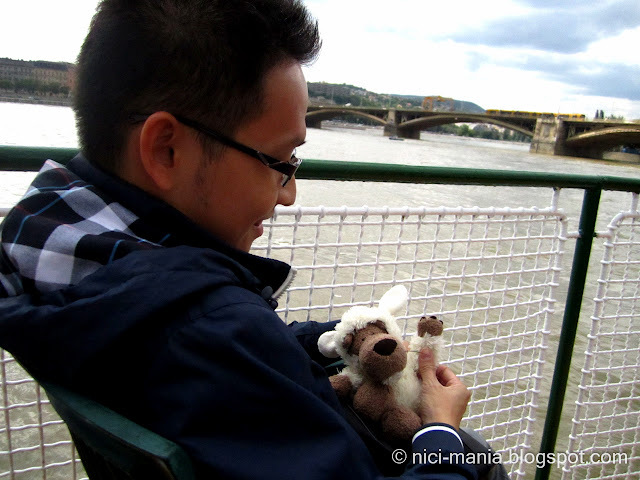 Jolly Wolf says Hi from Danube river with his human. 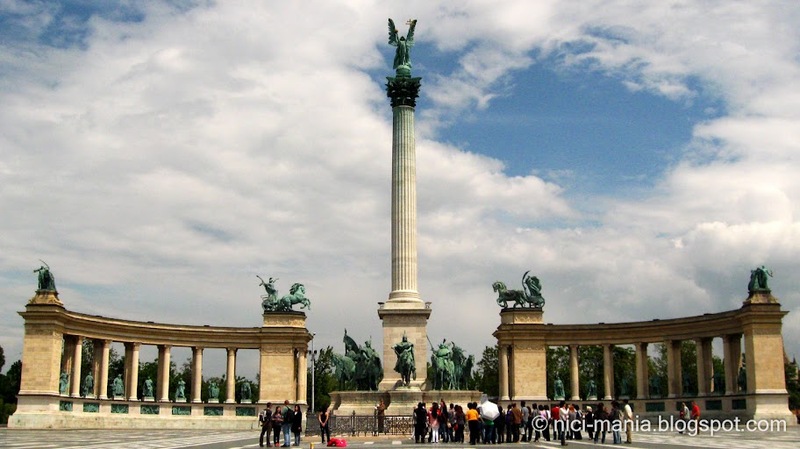 During the excursion, you can enjoy the view of Mathias Church, Fisherman's Bastion, Budapest Parliament Building, Gellert Hill (our dinner's place), etc, on both Buda & Pest river banks. 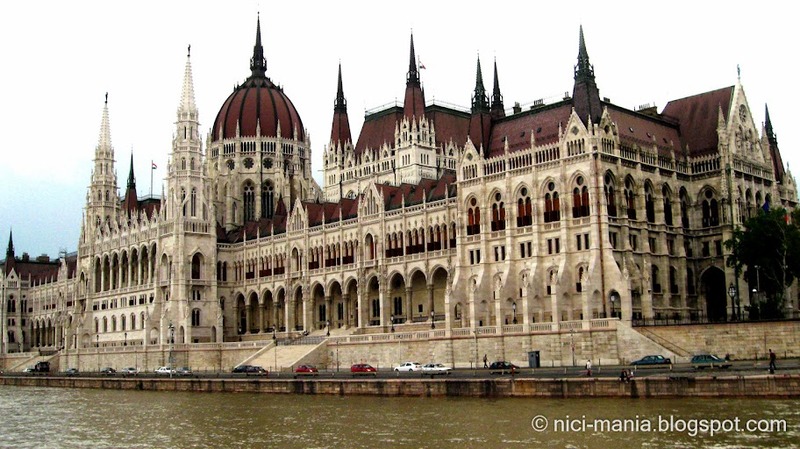 Budapest Parliament Building is probably the best view of Danube river cruise with its gorgeous neo-Gothic design. Jolly Wolf be careful where you're sitting!! 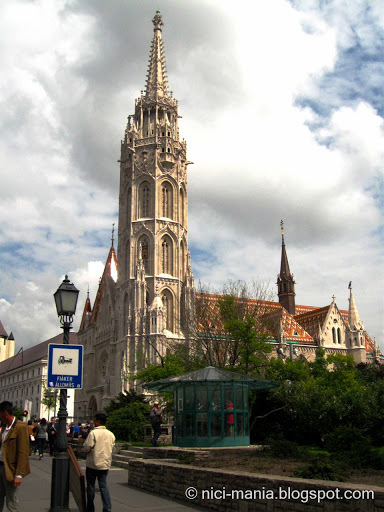 Jolly Wolf had so much fun on the cruise, we are bringing you to visit another great place in Budapest. Let's go! 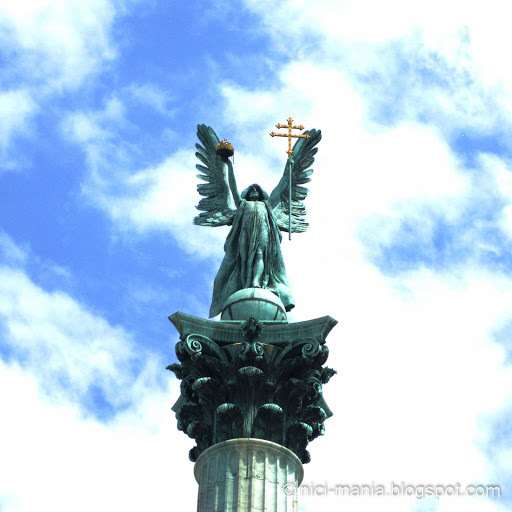 After the Danube river cruise, we arrive at Budapest Heroes Square where you can see the magnificent statue of Archangel Gabriel on top. Hmmm... Maybe he found Jolly Wolf suspicious ? ? 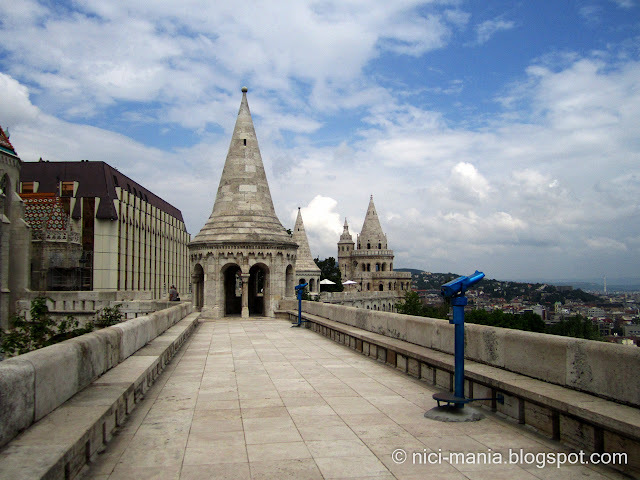 View of Budapest on top of the Fisherman Bastion. Hope you enjoyed this entry. 1. 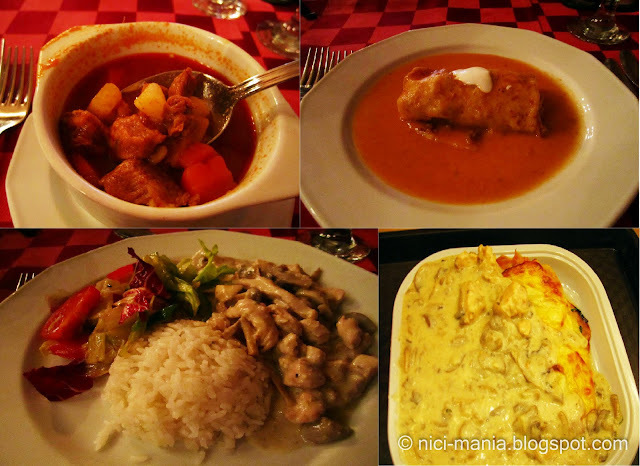 Hungarian goulash, a famous European soup or stew of meat + vegetables. 2. Top right is a Palatschinke, a popular European pancake or crêpe. 4. Lastly, also a chicken in green sauce while the food covered below is baked cheese + ham with pineapple (yummy!). We bought this in a food court of a Budapest shopping center. So beautiful! 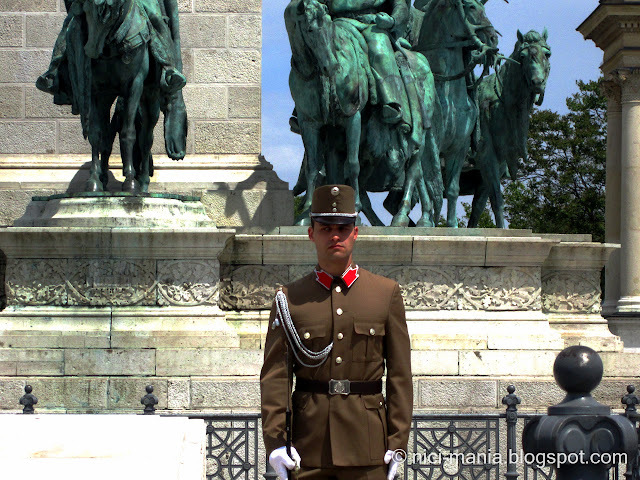 i am so going to Eastern Europe next year!! Beautiful photos! 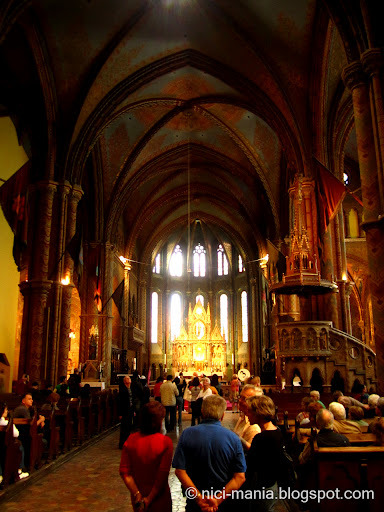 We hope to visit there one day! Jolly Wolf and Jolly Logan should travel together!!!! WOOF WOOF WOOOOF!!!! MAAAAAAAAH!